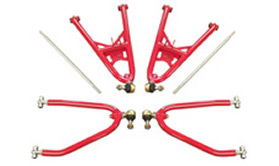 Most ATVs have enough clutter on the bars already so save yourself some space by mounting the kill switch directly to the stem clamp. 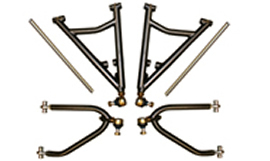 You can upgrade your old bar clamp or buy a whole new one. 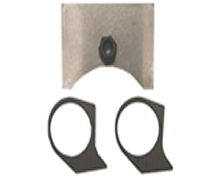 Replace your tired old bearing carrier with a Lonestar one that includes double row bearings and seals. The caliper plate comes with it to reposition the caliper. The Raptor 250 has common problems with the stock chassis twisting as well as the motor mounts cracking. 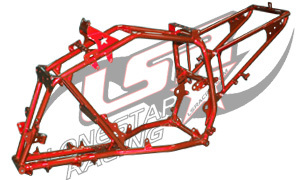 Lone Star Racing's solution to this problem was an all new fully tig welded 4130 chromoly steel chassis. 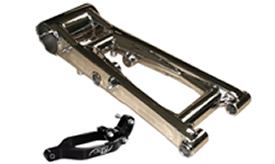 This chassis features two extra motor mounts on the bottom of the motor, stronger accessory tabs, and a removable subframe. 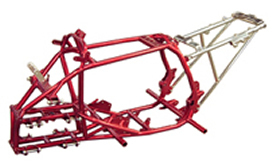 The tubing thickness was also increased in the critical stress areas to prevent the frame from twisting or cracking. 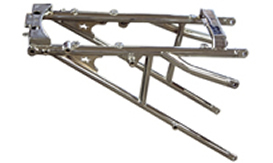 The chassis weighs aproximately 5 lbs more than the stock chassis but can confidently be rated twice as strong. 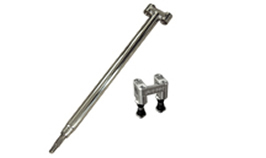 The Axcalibar Racing Axle is one of the most well known axles in the industry. 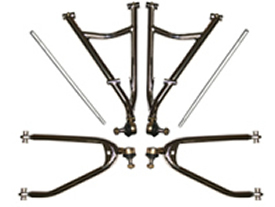 It is constructed from a unique aircraft grade steel and heat treated for added strength. 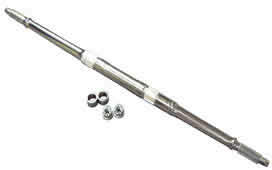 The material itself creates a structural memory allowing the axle to be straightened without loosing it's strength. 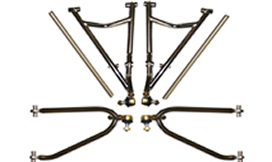 Each axle is fully adjustable so you can achieve the width that best suits your riding conditions and quad setup. 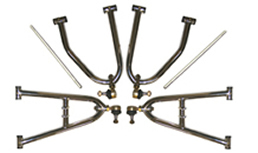 We back the Axcalibar Axle with a true Lifetime warranty against bending and breaking. If the axle is bent we straighten it. If the axle breaks it will be replaced for no extra charge except freight. 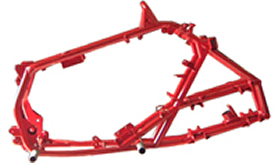 The warranty also carries on to the next axle so it is also covered. 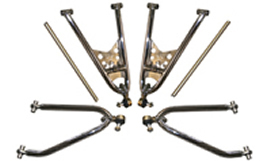 Each axle comes with a triple plate chrome finish. 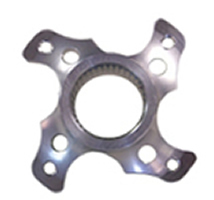 Lock nut and Disc brake hub offers supperior strength, looks, and performance over the OEM unit. Made from 6061 billet aluminum. Trick light weight billet aluminium front wheel hubs. Built for race or play. Come complete with sealed bearings and a billet dust cap. Optional double bearings and X-style caps available. These new one piece rear wheel hubs are made from 7075 billet aluminium for an excellent weight savings over stock. 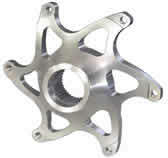 The hubs are designed with the same 1" offset and pressed in metric studs as the stock hubs and will fit the OEM axle. 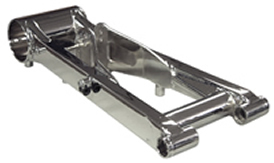 The twin row bearing housing is made from billet aluminum and comes complete with heavy duty double row bearings, seals, and a steel center tube. New styles feature sealed bearings that never need to be greased. 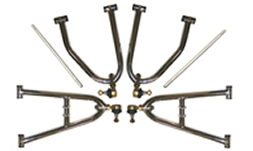 Will fit all stock or aftermarket swing arms and axles. 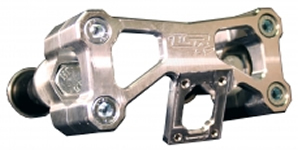 6061 T6 Billet Aluminium locknuts available to fit any axle. 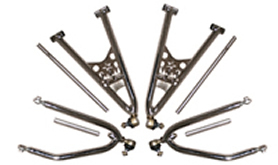 Made from 6061 T6 Billet Aluminium. 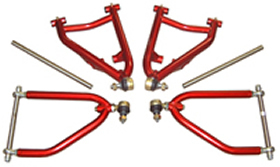 The disc can be mounted on either side of the Hub depending on which swing arm you have. 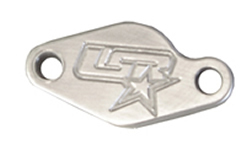 When using the Lone Star swing arm the disc is mounted on the inside of the hub for closer clearance. 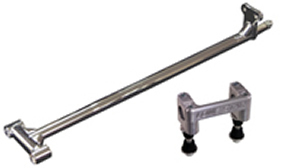 When using the stock Swing arm the disc is mounted on the outside of the hub. 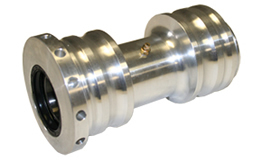 This hub will fit all Stock or Axcalibar Axles. 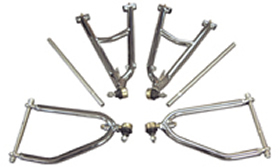 These Billet aluminum brake line clamps are the best way to attatch braided brake lines to all 1" O.D. A-Arms. 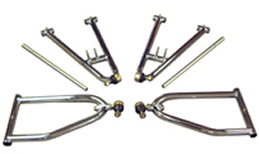 Clamps are sold in pairs. 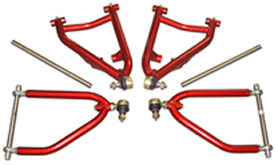 Available For Honda 250R, Yamaha Banshee, Blaster, Warrior & Raptor. Block Off Plate fits all bikes. 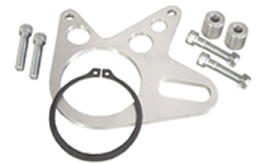 This complete kit comes with the disc brake hub, caliper mounting kit (not pictured), and all necessary hardware to mount a Honda 250R rear caliper to a Yamaha YFZ450 with a round housing swing arm. 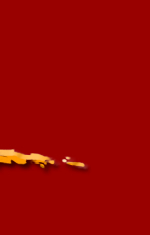 This offers superior braking power and more ground clearance.